The Savannah First District Order of Eastern Star – Prince Hall Affiliation held its annual meeting January 16, 2010 to strategize the 2010 goals and elect officers. The elected officers are Sister Eddie Lee Marsh, District Worthy Matron, Brother Willie L. Williams, District Worthy Patron, Sis. Frankie Totten, Associate District Matron, Bro. Paul Hudson, District Associate Patron, Sis. Rose White, District Conductress, Catherine Clements, District Associate Conductress, Sis. Jenean Turner, District Secretary, PDM Patricia Jones, District Treasurer and Sis. Beverly Morrison, District Chair of Trustees. Sister Eddie Lee Marsh was elected to the position of District Worthy Matron at the annual District meeting. 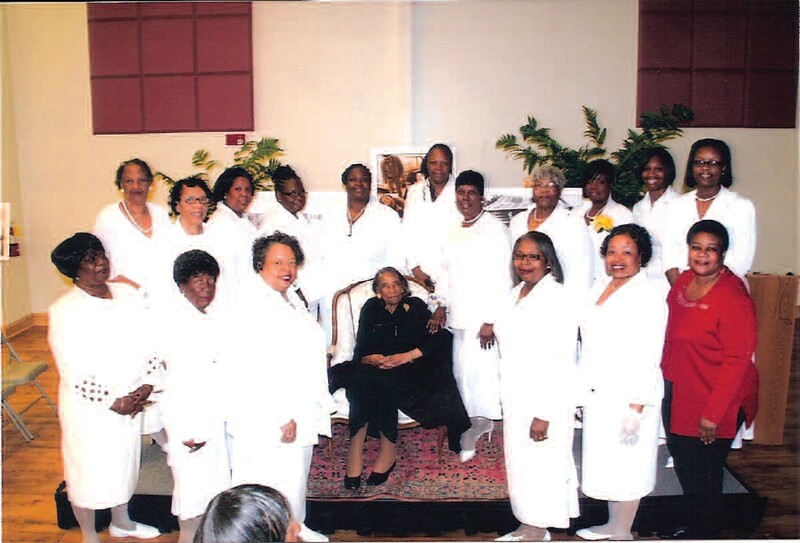 Past Matron Marsh is a member of Electa Chapter #1. She served as District Treasurer for numerous years and Grand Youth Directress for the Jurisdiction of Georgia for five years. The First District Eastern Stars were visible and recognized at the “Passing of the Torch to America’s Youth” featuring Mrs.
She is a member of Amelia Chapter #159 O.E.S. in Alabama. Sis. Robinson was pinned with an emblematic Eastern Star corsage and a monetary donation to assist in her travels. The event was held at the Ralph Mark Gilbert Civil Rights Museum. Banquet” on February 28th. The program reflected the legacy of Black History as demonstrated through intergenerational praise dance delivered by Electa Chapter #1 members. Electa Chapter is the oldest Chapter in the Jurisdiction of Georgia. Sis. Tammy Mixon of Solomon #95 was the Mistress of Ceremony. 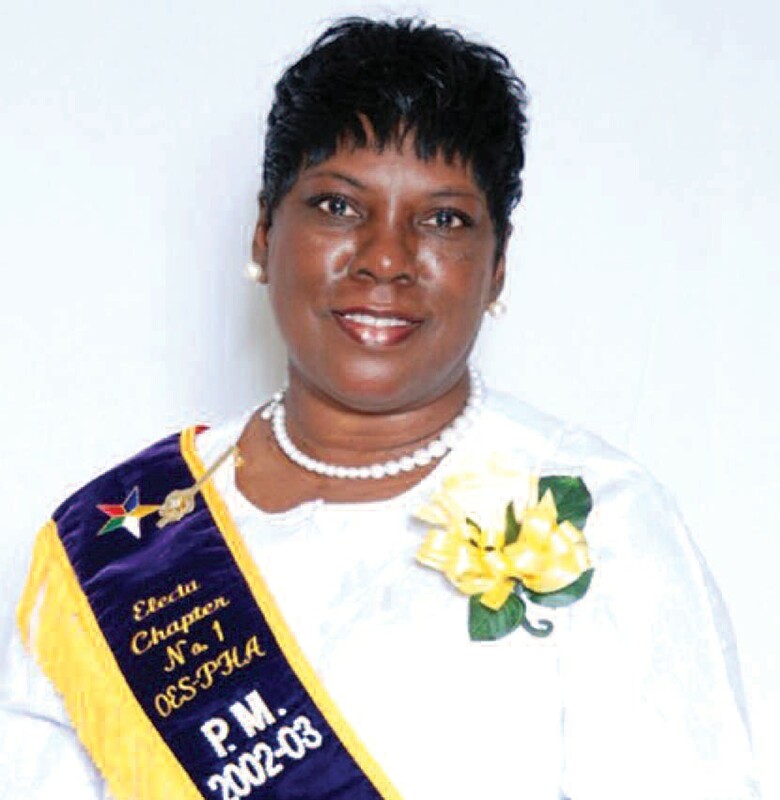 Presentations were made to the immediate Past District Worthy Matron Patricia Jones for her dedicated service to the Savannah First Masonic District from 2003 – 2009. Other presentations were made to assist non profit organizations. Wesley Community Center were given $100 donation to purchase can meats to replenish their pantry. project. Executive Director Tammy Mixon accepted the donation. The District donated detergent, bleach and cleaning supplies to the Safe Area Family Emergency Shelter, Inc. (Safe Shelter). PDWM Jones accepted the items. The First District mourns the loss of two Past Matrons this quarter, Sister Maggie L. Baker of Limerick Chapter # 436 and Sister Dottie Smart Davis of Guyton Chapter #292.